The Finnish forces captured nine T-34-85 tanks during the fighting in the summer of 1944. Only seven of them could be taken into service. 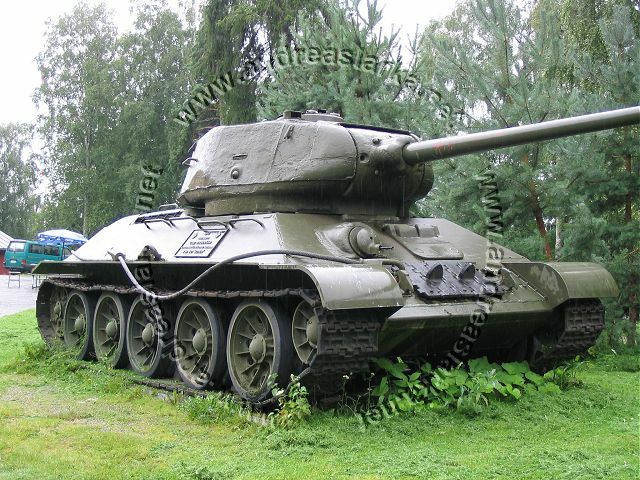 This T-34-85 numbered Ps.245-7 is thus the very last of these seven tanks. These pictures are taken at the Hämeen Rykmentti garrison area in Lahti, Finland.